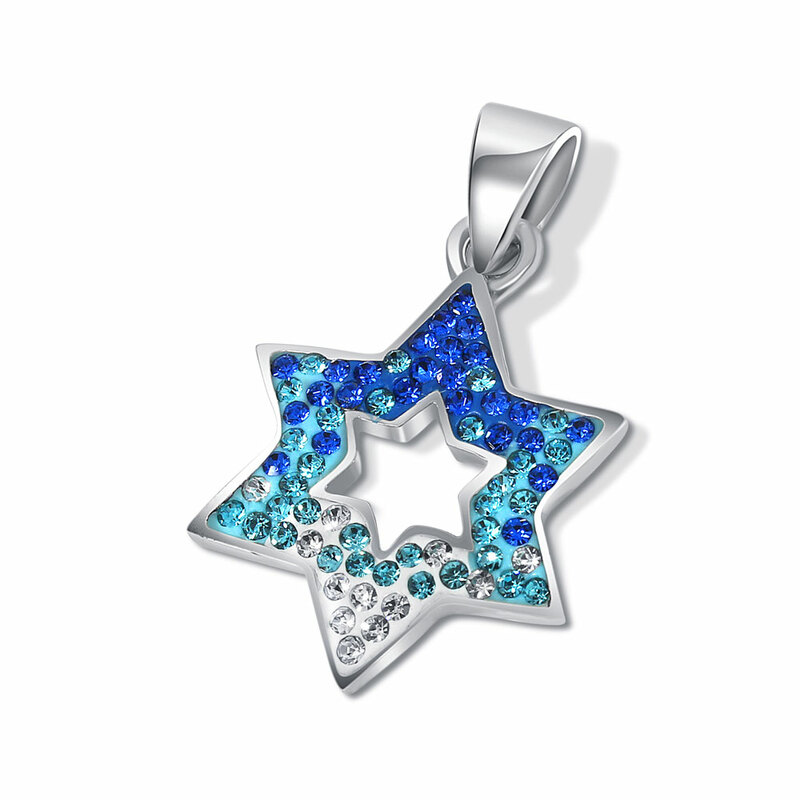 Sterling Silver Star of David Pendant, Water looking stones in dark-blue/light-blue/clear tones. To add a chain to this pendant, select from the chain options. Pendant measures 24mm H x 17mm W (.94 x .65 inch), (measurement includes hanging loop).